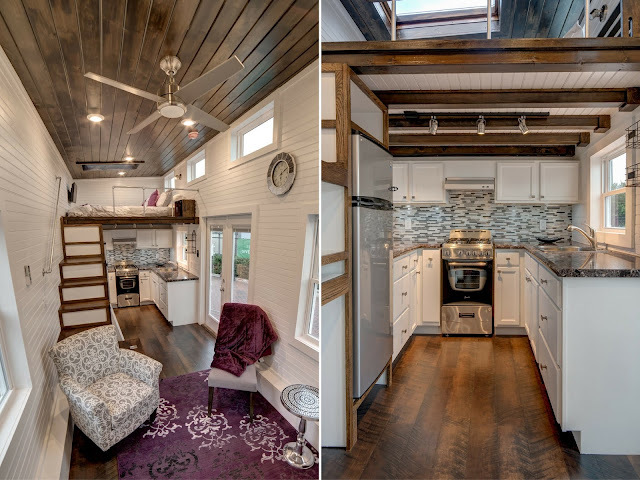 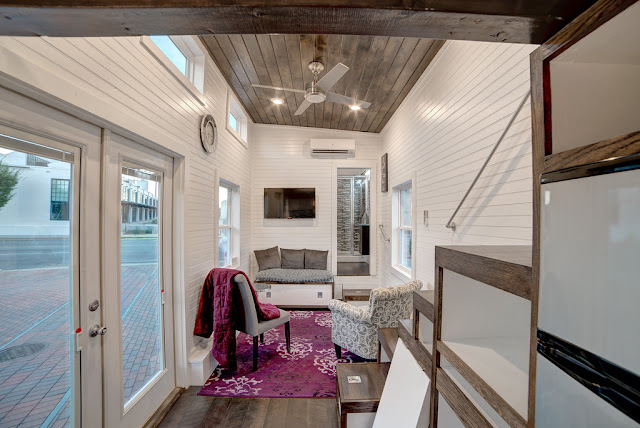 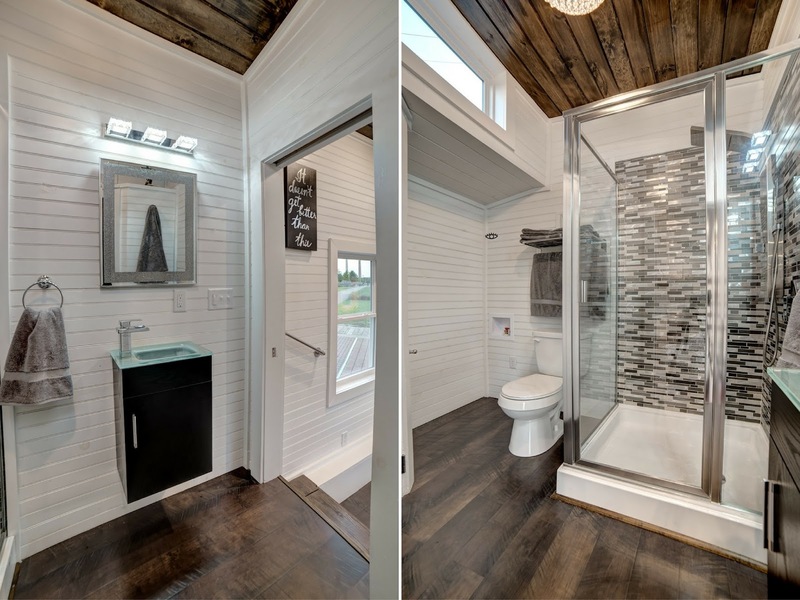 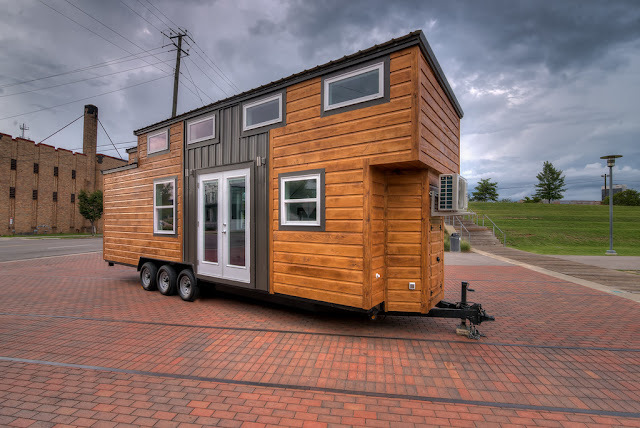 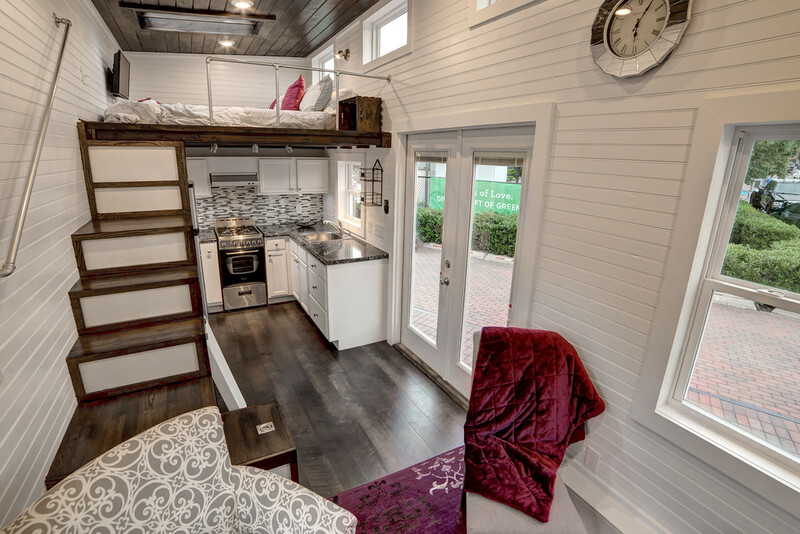 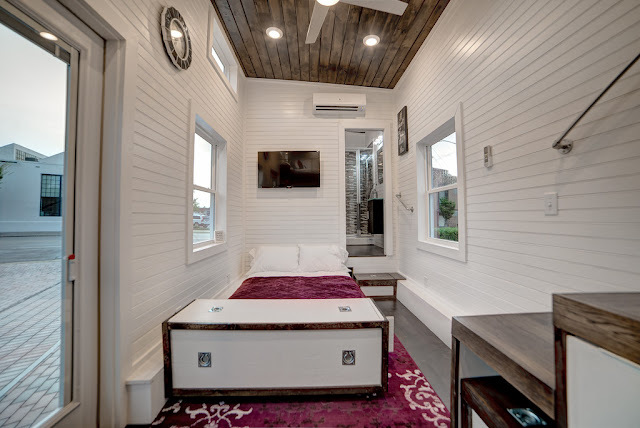 This charming tiny house on wheels is designed and built by Alabama Tiny Homes of Mount Olive, AL. 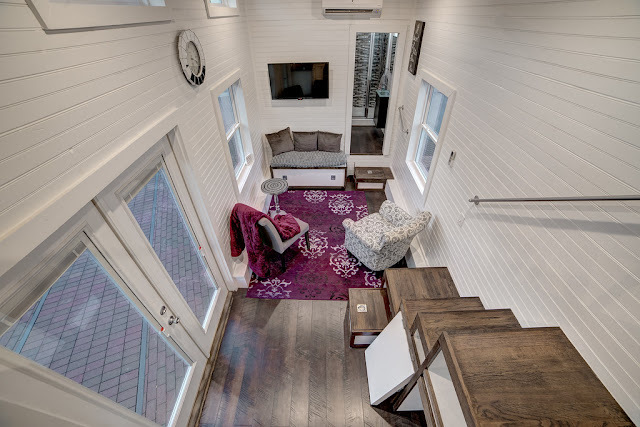 Named the “Freedom”, the home measures 304 sq ft and comes with a plethora of features to make you feel right at home. 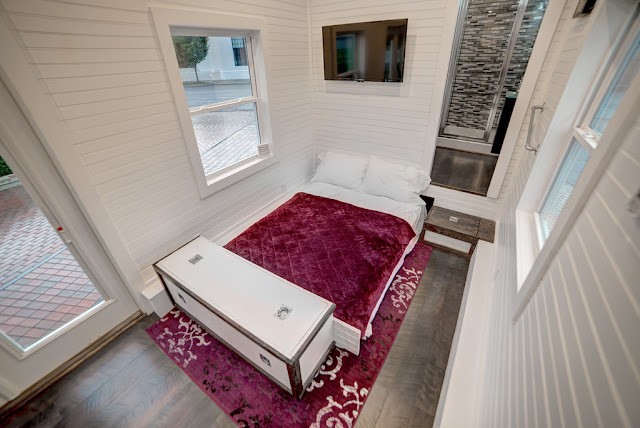 The Freedom comes with two LCD televisions; one in the loft, another on the home’s main level. 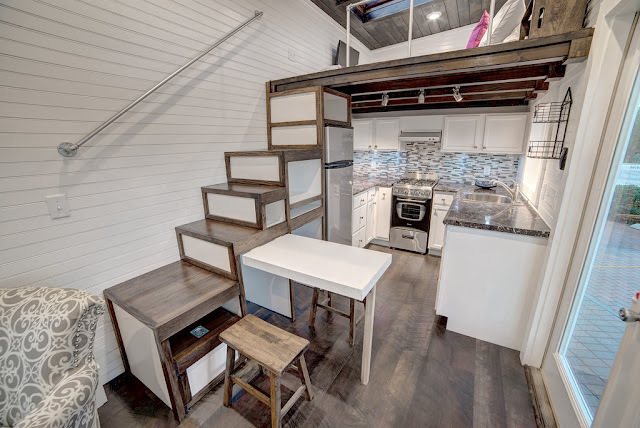 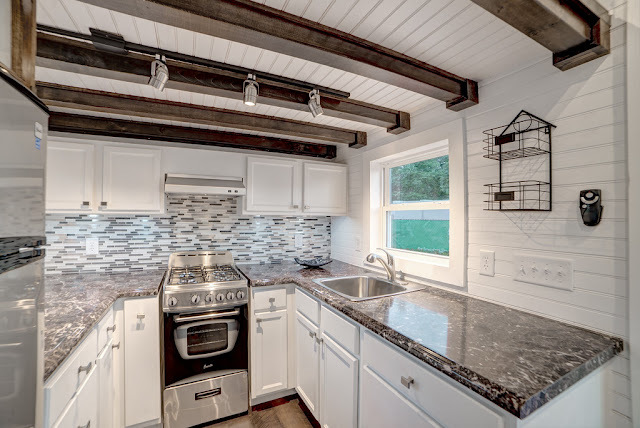 It also comes with a fully equipped kitchen that has a four-burner propane stove and oven combination, a 7.9 cubic foot fridge and custom Formica countertops. There’s also a hook up for a washer/dryer to be added. 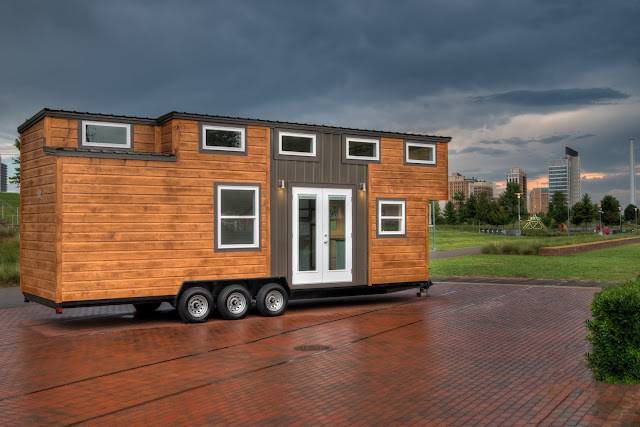 The home’s layout includes a kitchen, loft bedroom, bathroom, a fold-out dining table, and a relatively spacious living room area. 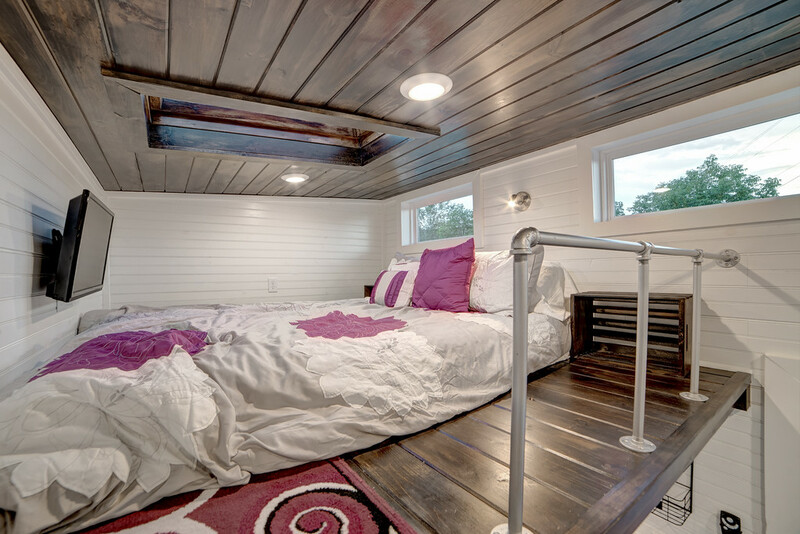 The living room features a custom sofa that pulls out into an extra bed. The home is currently available for sale on Tiny House Listings for $57,000.